If you love fiery chilli, ginger and tomato then you should give this cambodian marinated beef a try, its delicious and is a great interactive dish to share with family and friends. Trim the beef, cut into pieces and place into a bowl. 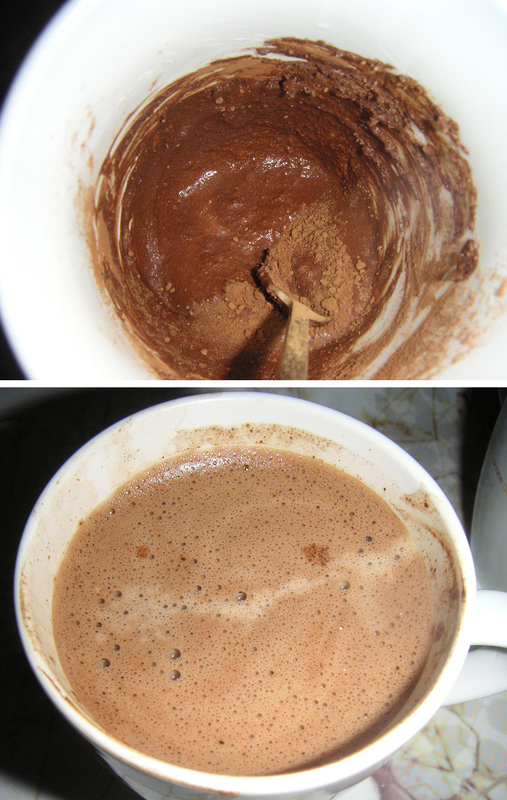 Place all of the marinade ingredients into a food processor and blend until smooth. Pour the marinade over the beef, cover and leave to marinate for 20 minutes. Meanwhile, arrange the lettuce leaves, sliced tomato and onion on a serving plate, put the peanuts in a bowl and set both aside. Mix the ingredients for the dipping sauce (lime juice, freshly ground black pepper and salt) together in a bowl and divide among four small dipping saucers. Heat half of the vegetable oil in a wok or large deep frying pan over a high heat. Add half the beef to the pan and stir-fry for 3-4 minutes, or until the beef is cooked to your liking. Spoon the beef onto a warmed serving plate and set aside. Add the remaining oil to the wok or pan and fry the remaining beef in the same way. To serve, set the table with the plate of beef, salad and bowl of peanuts in the centre, and a small dipping saucer for each person. 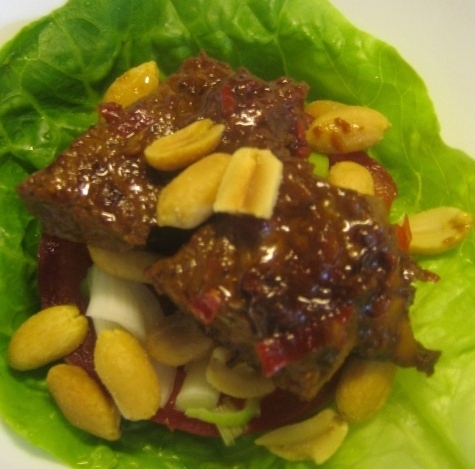 Spoon some beef into a lettuce leaf and add the peanuts, sliced onion and tomato on top. Wrap up the beef, then dip the parcel into the dipping sauce before eating. I personally would serve this dish as a starter, having one or two small parcels each and following this up with our flavoursome Chilli Beef Ramen. The powerful flavours in both dishes complement each other well and will give you and your guests a real taste of south east asian cuisine. Note : I first spotted this cambodian marinated beef recipe when browsing on the BBC website. The recipe was posted courtesy of Rick Stein from his recipe book Rick Stein’s Far Eastern Odyssey. 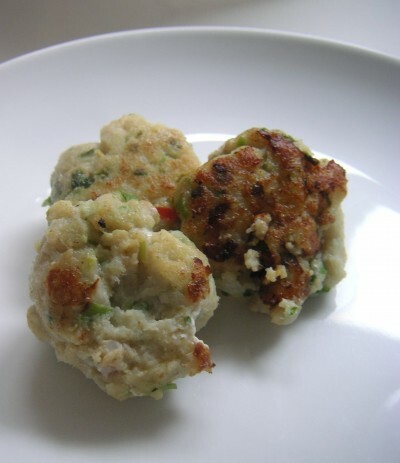 Rick’s recipe is based on a dish he ate in Kampot, Cambodia which I have tweaked to suit our food intolerance needs. This looks like my kind of dish! and I have just purchased a bottle of fish sauce so I will have to give this a go.